So, it’s been a little while since my last blog post. Whoops! Time flies when you’re having fun. Or working, that too. It’s only December, barely winter, and yet I’m already growing tired of this cold and snowy Chicago weather. The perfect time for a getaway, if you ask me. The good news is that I actually do have a fun trip lined up, which I couldn’t be more excited about! This is my first international trip since returning from my RTW journey last year, so it is long overdue. Especially since I started this blog to detail travel, after all. Onto the important part – where am I going? Brazil was one of the countries on my RTW dream list. For logistical reasons, it wasn’t a practical option for me last year, but I’m glad that it’s becoming a reality now. My plan is to have Rio de Janeiro as my hub; I have the basics planned out for now, a travel buddy lined up, and I’m researching fun things to do. This is where you come in, blog friends! Please share any tips, recommendations, and must-do activities you can think of. Friend-connections in Rio would be great too! 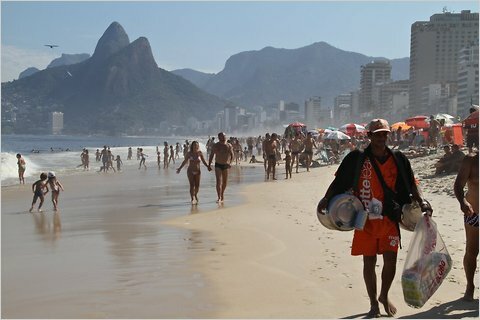 And if you want to meet me for a Caipirinha in Ipanema, you know where to find me… Saude! According to the film “Fast 5” there is a serious underground street racing scene in Rio! You should definitely check that out! Let me know how many cars you win! Going in June maybe you could attend the World Cup!! Nope, I’m going much sooner than that 😉 Joana, I wish you were here so you could teach me some Portuguese! The only word I remember is “bacalhau” haha!